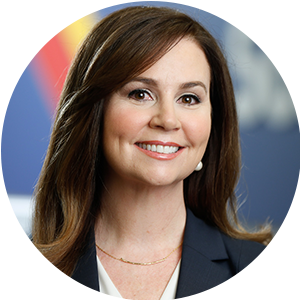 Elizabeth provides executive leadership for Employee learning at Southwest Airlines. She provides strategic direction and oversight for Ground Operations, Inflight, Provisioning, Maintenance and Engineering, Customer Support & Services, Customer Relations, Technology, Customer Service, Source of Support, and Labor training programs. Elizabeth also provides leadership for all companywide training initiatives. Since joining Southwest Airlines in 1997, Elizabeth has served in various leadership roles including Manager of Leadership Development, Director of Leadership Development, and Senior Director of Talent Development. During her time at Southwest, she has led many training initiatives including Performance Management, SAP implementation, and AirTran Integration. Prior to Southwest, Elizabeth taught business communication courses at Indiana University and College of San Mateo. Elizabeth holds an undergraduate degree in Communication Studies from California State University Sacramento and a Masters in Speech Communication from Indiana University. Elizabeth and her husband Torry live in Dallas and have four children, Connor, Regan, Audrey and Mitchell. She is on the Board of Directors for Juvenile Diabetes Research Foundation and is a member of the Board of Visitors at Catholic University of America School of Business and Economics.